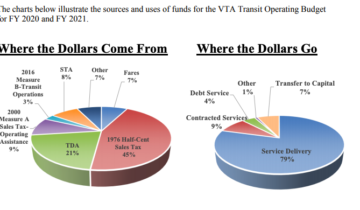 On Tuesday, theÂ San Mateo County Board of SupervisorsÂ unanimously voted toÂ support a new 1/2 percent sales tax for transportation, including 60% for transit; of which 50% would be for SamTrans, Caltrain, and other core programs, and 10% for regional projects, notably Dumbarton. With the support of the Board of Supervisors, the measure is now confirmed to go on the ballot in November.Â For more onÂ how the measureÂ will help transit and sustainable transportation, see this post. Thanks to everyone who participated and shared your thoughts with SamTrans and the Board of Supervisors – your feedback helped shaped a better transportation measure. The next step will be working with voters to get the measure passed — and importantly, to help get out the vote to defend the SB1 gas tax, which isÂ paying for the next major expansion in Caltrain capacity.